Learning how to be more mindful is considered an essential part of our overall health, and it represents the fastest-growing health trend in America. The definition of mindfulness is “the practice of maintaining a nonjudgmental state of heightened or complete awareness of one’s thoughts, emotions or experiences on a moment-to-moment basis.” It’s often used as a therapeutic technique. In other words, mindfulness is being fully present and aware of where you are and what you’re doing so you’re not overly reactive or overwhelmed by your environment. When you’re mindful, you can reduce stress, enhance performance, increase attention to others and gain insight and awareness through observing your mind. You can cultivate mindfulness through proven techniques, such as meditation, yoga, sports, hobbies or other activities that help you clear your mind and focus on the present. Paper can also help us become more mindful. Using paper is considered by some to be very human action because of its daily role in our lives and its ability to elicit emotion. Part of that is the appeal of having a tactile experience. Paper also doesn’t beep, chime or ring at you; eliminating distractions can make it easier to focus on what you’re doing. It’s a way to calm the anxiety that can result from the steady flow of information that comes from every direction, every day. Coloring — Coloring books aren’t just for kids. Adult coloring books give stressed-out grownups an almost meditative experience. Marygrace Berberian, a certified art therapist and clinical assistant professor at NYU, said in a 2017 interview that coloring has therapeutic potential to reduce anxiety, create focus or bring about more mindfulness. Ready to start coloring? Choose one of these popular stress-relieving coloring books. 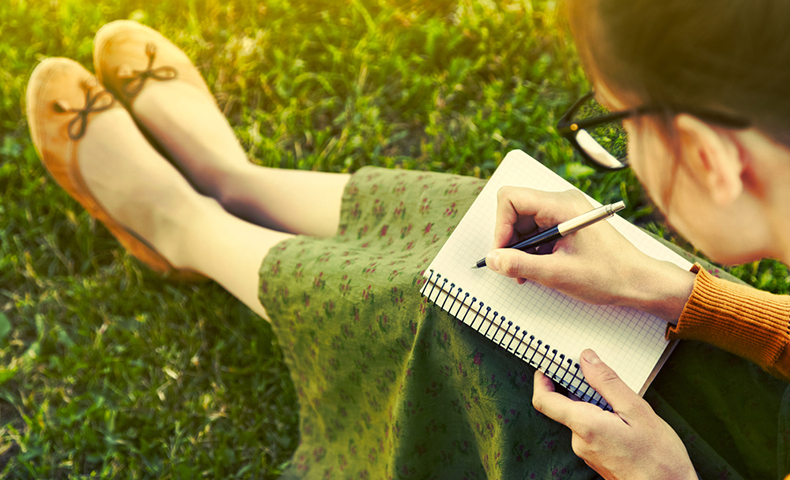 Journaling — Keeping a journal is a very personal exercise. It helps you reflect on your day and become more in tune with your emotions and thoughts. This daily exercise trains you to be more mindful. If you’d like to take your journaling to the next level, try a bullet journal, which enables you to be more creative with your journaling, sketching, note taking and to-do lists. Making to-do lists — Is there anything more satisfying than crossing a completed task off an actual paper to-do list? Keeping your to-do list on paper allows you to hold all your goals in your hand and then cross them out as you reach them. This small gesture acts as a mini celebration and allows you to reflect on your current accomplishments and thoughts. Getting through your to-do list can actually become something you look forward to, rather than something you dread. Looking to improve your productivity level using a paper to-do list? Follow the 1-3-5 rule. Practicing calligraphy — Calligraphy is more than a beautiful art form. It is a way to write mindfully. Learning and using this creative outlet, also known as hand-lettering, allows you to become immersed in an experience where it is just you, the pen and the paper. You can download free calligraphy worksheets or check online for hand-lettering tutorials. Reading a book — While we all know that reading a paper book offers a host of cognitive benefits, staying mindful while reading isn’t always easy. Sometimes we drift in and out of the book and start to think about other things that might be on our minds that day. But by dedicating time and energy to reading and comprehending each word, you are essentially training your brain to stay in the moment. Learn to be more mindful while reading. Paper — whether it’s a favorite book, a handwritten love letter or your college diploma — delivers some of the most memorable experiences in our lives. The fact that paper is tangible lets us enjoy memories as long as we want to, even if it’s just to look at them one day and remember where we were and how we felt in that moment. Paper can help us be more mindful because we’re not computers, and we’re not numbers. We are humans, all looking for the human experience of living in the moment.